In May, ten asylum seekers launched a High Court challenge against the Federal Government. The Human Rights Law Centre, representing the refugees, argued that the government had no clear legislative authority for offshore detainment, making it illegal. Another point of the case was to address whether using $1.2 billion of taxpayer money to run the facilities was a lawful expenditure. The legislation comes after many reports of human rights abuse in detention centres. One instance of this is the recent transfer of forty asylum seekers to Nauru from Wickham Point. Among the asylum seekers were three babies, despite Save the Children outlining that the transfer of infants could be catastrophic to their wellbeing. Women who had previously disclosed sexual abuse at Nauru were also in the transfer, now being back in the custody of those who assaulted them. Bill Shorten said that he hoped the bipartisan support would make a ‘turning point’ in parliament. ‘Trust is in short supply in the 44th Parliament,’ he stated. ‘Every question time, the government regularly attacks our patriotism, our love of this nation, our good faith and sincerity on these important matters.’ This comes after Labor acted in full support towards other legislations related to fears of terrorism, including metadata retention, expanded police powers and revoking of citizenships. Currently, there are also claims that the Abbott Government is bribing Indonesian people smugglers to reject asylum seekers, using taxpayer money. Instead of living up to our obligation to protect those seeking asylum, both major political parties have forgone any inch of compassion, moving our international responsibilities onto countries who have less resources and capabilities to support these refugees. In 2014, the UN Committee on Torture disclosed that refugees are left without access to basic necessities, such as healthcare. On the same day, the UNHCR also argued that Australia violates the Convention on the Rights of the Child. Thomas Vargas, a representative of UNHCR in Indonesia, stated that this is illegal under international law. The National Inquiry Into the Children in Immigration last year reinforced these accusations, revealing that a third of children in detention centres are mentally ill and hundreds of assaults have been committed against them. These cases of abuse will now remain shrouded in secrecy, with staff being threatened by a two-year jail sentence if they speak out. 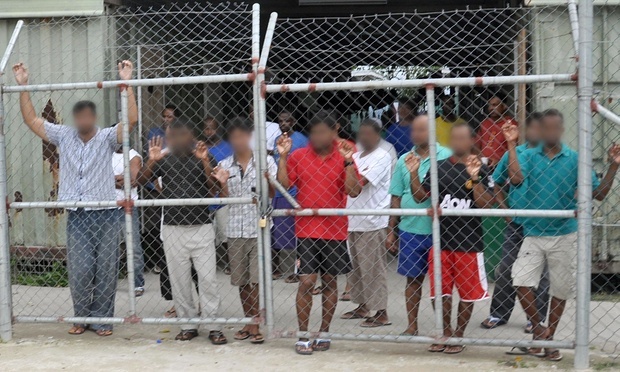 An open letter, written by workers at the centres, state that they have seen ‘devastating effects of institutional self-protection and blindness to child abuse.’ They outline that while keeping children in detention centres is a form of child abuse, nothing has been done. The letter challenges the government to arrest the signatories, so that the issues are discussed in court and become transparent to the public. While the Greens suggested amendments, these failed to pass through parliament, being voted down by the two major parties. These changes included the mandatory reporting of abuse, journalist access and a maximum detainment of three months. Tony Abbott believes this cruel legislation is a successful move, with his frequent claims to stop the boats ‘by hook or by crook’ holding true. The government is turning a blind eye to – and even encouraging – the violation of asylum seekers’ basic human rights.